The oil industry provides employees with opportunities to work and travel in exotic work locations. It also places them in very hazardous, and potentially life-threatening, environments. 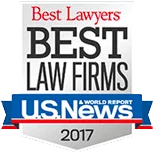 The experienced Louisiana oil field accident attorneys of Lamothe Law Firm aggressively represent oil field accident victims. Frank Lamothe recently presented a continuing legal education seminar to attorneys entitled, “Anatomy of an Oilfield High Pressure Gas Release Case” at the American Association for Justice Annual Convention in Montreal. Frank is also a member of the AAJ Gas Drilling/Fracking Litigation Group. Lamothe Law Firm recently settled a catastrophic oil field accident case for more than $15 million. With fracking, drilling and casing crews working on-site 24/7, the potential for an oil field accident can be high. Even with proper protocols in place, crews can be exposed to dangerous chemicals or fumes, have equipment fail or simply be injured in a trucking accident while working the job. If you’ve been overexposed to dangerous chemicals, been in an oilfield accident or suffered an injury related to oilfield work, you should become informed on what your rights are. Oilfield workers need to protect themselves from some of the dangers that come with a high-risk occupation. Employers need to abide by OSHA regulations and other state and federal regulations to provide appropriate safety standards. When these guidelines are not being met, you may be in danger of an oilfield injury or accident. Our lawyers understand the challenges you face after an accident at work. While workers’ compensation pays benefits regardless of who was at fault, those benefits are limited and will not cover everything you have lost. You may be entitled to additional compensation if a third party (someone other than your employer) was at fault for your injury. Examples of third parties include contractors, suppliers and equipment manufacturers. Our lawyers will carefully review the circumstances of the accident and explain your legal options. If your employer does not subscribe to workers’ compensation, we can file a personal injury lawsuit against your employer. In addition to injured workers, our law firm represents family members of those who die in oil field accidents. Workers’ compensation will not go far in meeting your family’s financial needs following the death of a breadwinner. Our lawyers will help you deal with the legal and financial issues you face so you can concentrate on your family. At Lamothe Law Firm, our oil field accident attorneys recognize the financial challenges that a work-related injury causes. We pursue compensation over and above what might be provided by workers’ compensation benefits. to consult with a qualified personal injury attorney about your case and the compensation you deserve.